The Divorce Roundtable is a non-profit interdisciplinary working group dedicated to improving the divorce process for Montgomery County area families, and especially children. Formed in 1992, it is made up of judges, masters, court staff, mediators, therapists, attorneys, agency personnel, and collaborative professionals. The Divorce Roundtable seeks to develop and implement policies, programs, and education initiatives for the professionals who work with divorcing families. The Divorce Roundtable also works to foster understanding and collaboration among the professionals who work with divorcing families. The Divorce Roundtable has been instrumental in launching court projects, including the co-parenting skills training and the court-sponsored custody mediation. The Divorce Roundtable also is involved in educational efforts directed at judges, legislators, and professionals who work in the divorce field. 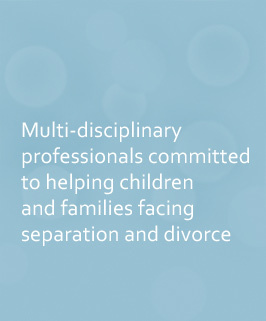 In this pursuit the Divorce Roundtable organizes full-day interdisciplinary training conferences, testifies on proposed family law related legislation, and sponsors frequent “brown bag” lunch seminars. The Divorce Roundtable focuses on approaches that reflect input from many perspectives and solutions that consider the legitimate needs of all participants. It promotes beneficial alternatives to litigation of divorce and related family issues. It also develops public education materials that address the just resolution of divorce and related family issues. This website serves to foster awareness of the Divorce Roundtable and its mission, and to distribute education related news and information. Thank you for visiting! We are a non-profit organization dedicated to looking out for the best interests of children involved in separation and divorce, through public education, interdisciplinary problem solving, and to promotion of non-judicial (ADR) resolution to high-conflict parenting situations. We are composed of a deliberately balanced multi-disciplinary cross section of experienced Montgomery County mental health professionals, court personnel, social workers, mediators, and lawyers.